Contains essential vitamins, minerals and herbs (including bitter melon, gymnema sylvestra, and guggul) traditionally used to regulate blood sugar levels. 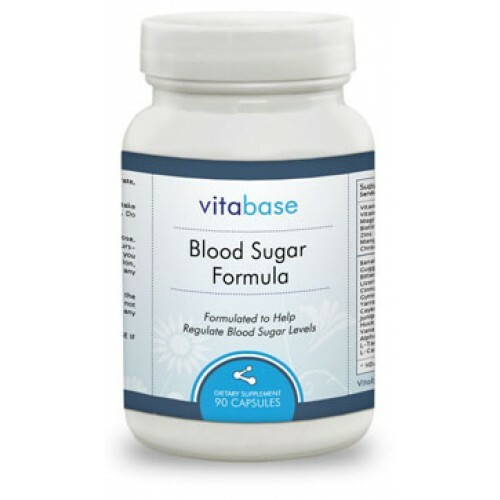 Vitabase’s Blood Sugar Formula incorporates minerals, vitamins, antioxidants, herbs and amino acids to help sustain healthy levels of blood sugar. 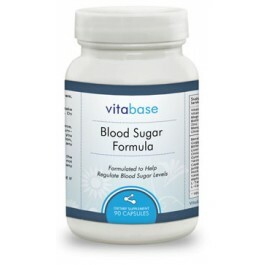 Among many other ingredients, Vitabase’s Blood Sugar Formula contains chromium, biotin, and bitter melon extract. Each ingredient is combined in an ideal formulation in order to provide the best support. As with all Vitabase products, your satisfaction is guaranteed. As a dietary supplement, take one (1) capsule 30 minutes before each meal. Do not exceed three (3) capsules daily. Do not exceed recommended dose. This product is not intended for pregnant or nursing mothers or children under the age of 18. If you are diabetic, or have a known medical condition, consult your physician prior to taking this or any dietary supplement.